That has to be one of the more clever headlines I’ve ever come up with (thanks, Tom Cruise)! 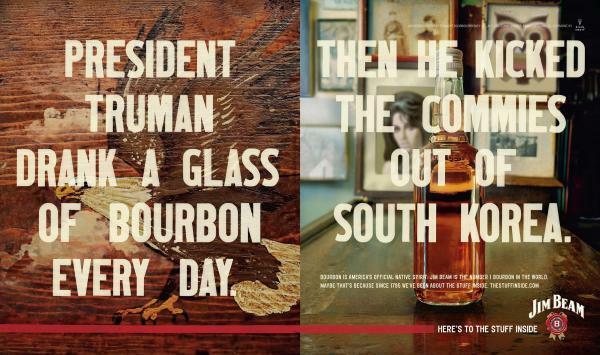 Today, we explore advertising in the whiskey world and we don’t even have to be like the tools on Mad Men. Well, on with the show! Whiskey is definitely not a “training wheel” liquor. It’s for the stallions of this world and I’m thrilled to be among their leaders. 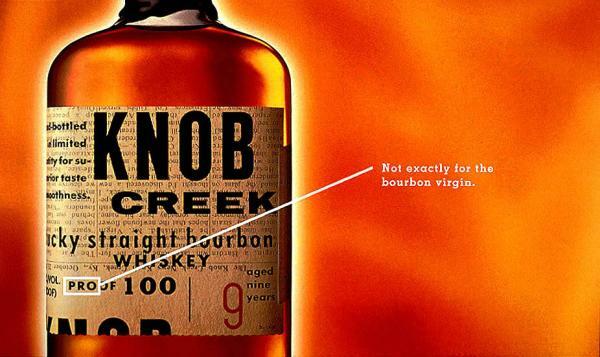 The child in me always has a brief giggle over the company name Knob Creek. I’m sorry, but it’s just funny. 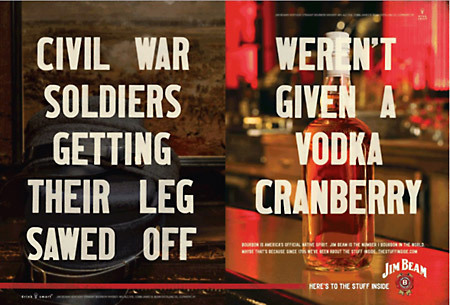 This series of Jim Beam ads further exemplifies that bourbon products are not for the tame of heart. I had to post all four of these ads, as they’re all pretty smart. I must point out that I appreciate each of the drinks that have been slammed in these photos, particularly the Mojito, which I love. That said, they must take their place in line in the pecking order. 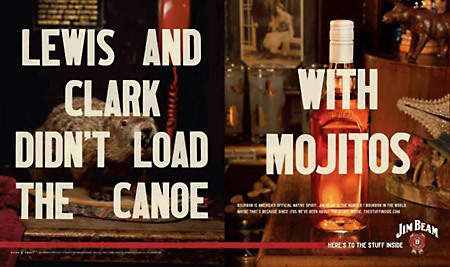 Clever use of word play by our friends at Jack Daniel’s. I’m on the fence about regular JD, but I love their honey whiskey varietal. 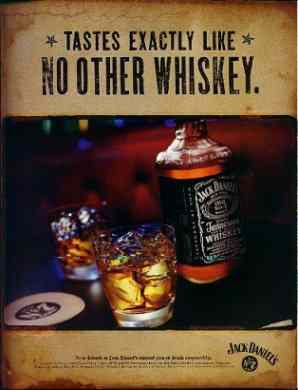 I think Jack Daniel’s has a wonderful legacy in the liquor world and it’s well-earned. Jack Daniel is one dude I would have loved to share a drink with and we’d have some great laughs over his impending ironic death, which could have been prevented by his own product! 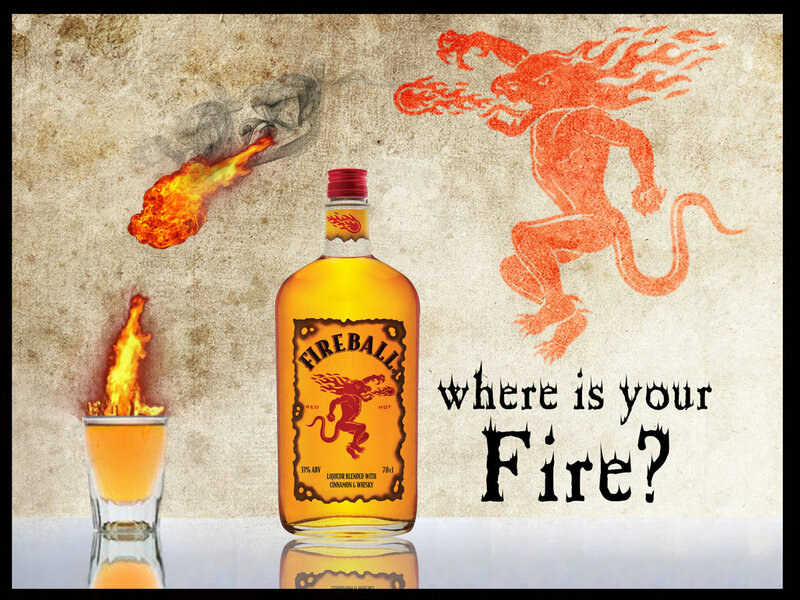 All you little sippers know of my affinity for Fireball Whiskey. I bring that shizzle everywhere and made it an inaugural class member of The Sip Advisor Hall of Fame. It’s hard to explain where my fire comes from. As far as I know, it’s always been there. It’s an inherent part of my awesomeness and I wouldn’t give it up for anything. There’s nothing like firing a shot at your competitors, straight across the bow, while also highlighting your offering to the world! 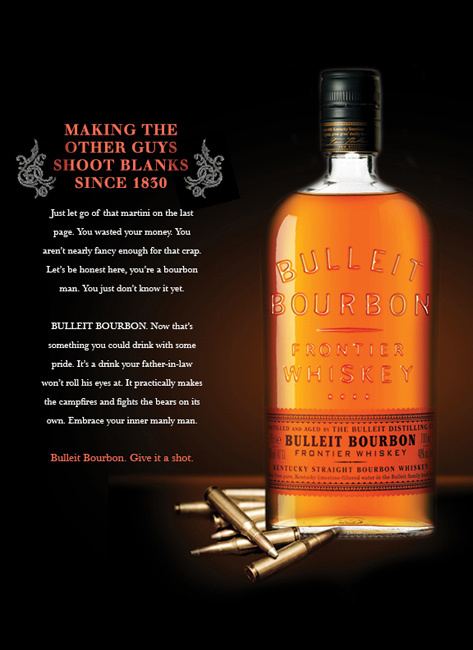 And what better company to do so than Bulleit Bourbon. While I can’t say that I’ve ever owned a bottle of this brand, I have enjoyed the alcohol in a number of cocktails while travelling throughout the United States. I’m a huge Crown Royal supporter, also nominating this liquor to The Sip Advisor Hall of Fame. 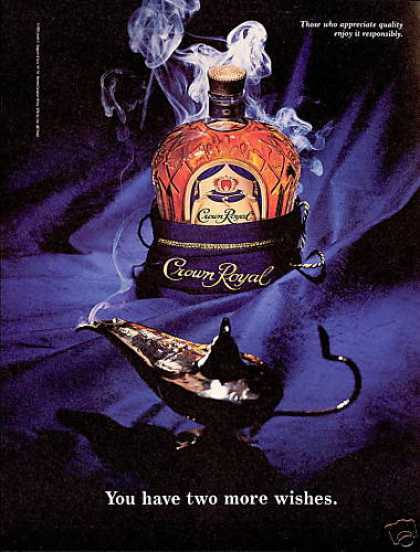 If I was presented with the opportunity to make three wishes, one would certainly be to have unlimited liquor, while the other two would probably be a bottomless bag of potato chips and a forever un-clothable Mrs. Sip! 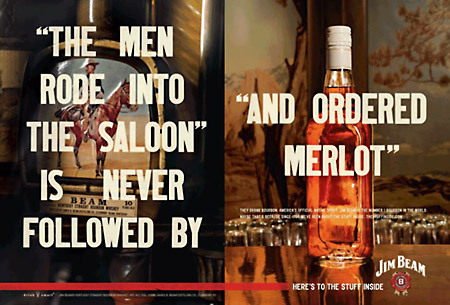 What’s your favourite whiskey ad? If it’s one I haven’t presented here, you’ll gain bonus points on your Sip Advisor rewards card! I like drinks from the Collins family. They’re easy to make and fun to drink. This entry was no different. 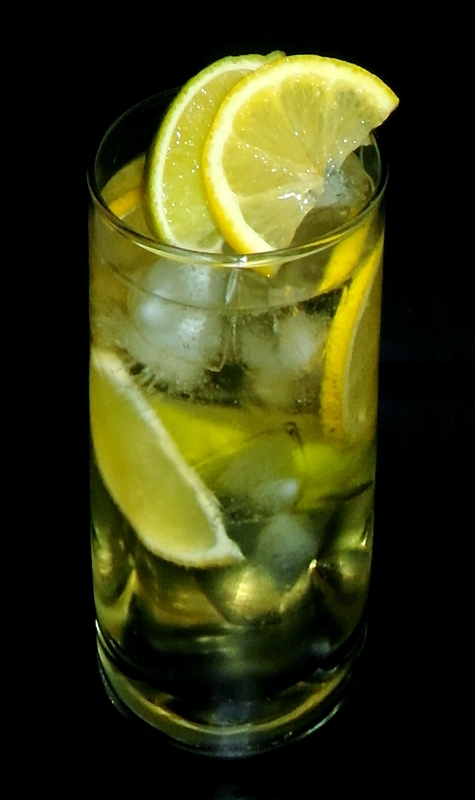 While the Tom Collins(gin-based) is the patriarch of this brood, I’d place the John Collins in the uncle spot on the family tree. It’s earned a decent ranking and some respect from all us sippers!